Twenty years ago, bipolar disorder was rare or virtually non-existent in children. In fact, it was not a phrase in common use in relation to adults either. More recently, we have heard of celebrities admitting to suffering the disorder, such as Catherine Zeta-Jones, which has elevated it to a ‘trendy’ status. Bipolar is a mental illness characterised by extreme mood swings and used to be known under different guises, such as depression or anxiety. Today, nearly a third of all children and adolescents discharged from child psychiatric hospitals in the US are diagnosed with the disorder and medicated accordingly. This trend stretches across Europe. 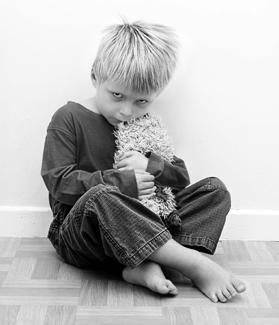 According to some, this explosion in childhood bipolar diagnosis is not so much an epidemic of mental illness in the pediatric population, but a case of severe medical overreach, with potentially devastating consequences. Children as young as two years of age are being diagnosed with the ‘trendy’ disorder and put on a cocktail of psychotropic drugs that can be harmful or even deadly. Although some psychiatrists argue that this surge in childhood bipolar diagnoses is down to increased understanding of the disorder, others believe it reflects a major problem of misdiagnosis that is putting young lives at risk. David Fassler from the University of Vermont has said that close to half the children thought to be bipolar may be misdiagnosed. “Bipolar disorder is not always easy to recognise in children and adolescents,” Dr Fassler said. In fact, a study of adolescent in-patients in Katonah, New York, showed that nearly half the bipolar disorder diagnoses made by community clinicians were later reclassified as depression or conduct disorder (Psychiatry Res., 2001). Controversially, Dr Kaplan goes as far as to say that childhood bipolar disorder doesn’t even exist. He expands on this in his book Your Child Does Not Have Bipolar Disorder: How Bad Science and Good Public Relations Created the Diagnosis. It is useful to look at possible explanations for the increase of what appears to be bipolar disorder; many possibilities are based on the changes in lifestyle over the past 20 years. Child psychiatrist Victoria Dunckley suggests that video games and other forms of electronic stimulation could be contributing to the increasing numbers of diagnoses. She believes video games and other forms of screen time can have negative effects on behaviour and mood, which could be wrongly perceived as bipolar disorder. Recent studies have found that video-game play is associated with aggression and sleep problems in children, both of which are symptoms of bipolar. Other possibilities lead to ADHD medication. UK researchers at the University of Oxford noted that symptoms of ADHD overlap with those of bipolar disorder and the treatment of ADHD with stimulants can induce elated states. In fact, stimulant drugs, such as the common one prescribed for ADHD specifically, have recently been reported to cause manic-like symptoms in children, including euphoria, grandiosity, paranoid delusions, confusion, hallucinations and increased aggression (Indian J. Pharmacol., 2011). Another possible explanation of the expansion of the disorder is nutritional imbalance. Mounting evidence has suggested that food can have powerful effects on mood and behaviour, so perhaps what looks like bipolar disorder is, in fact, a nutritional deficiency or a problem with metabolising certain foods. A lack of omega-3 fats, for example, is associated with both bipolar disorder and ADHD. These fatty acids are important for the development of the brain and for regulating the behavioural and chemical aspects of mood disorders, such as stress responses, depression and aggression (Expert Rev. Neurother., 2011). Trials have suggested that omega-3 supplements may help patients with bipolar disorder, showing effects on both the manic and depressive symptoms. Other nutrients that may be related to bipolar are folic acid and vitamin B12. Food allergies and unstable blood sugar levels could also play a role. US child psychiatrist Patric Darby has noted that many children diagnosed with bipolar disorder are well controlled by a sugar-free diet without resorting to the strong psychotropic drugs. Quite obviously, these suggested causes of mood and behavioural problems in children should be studied further, as the results could spare thousands of children from a life sentence of risky medications and stigma.